It’s Recipe of the Week time again! 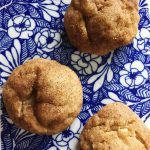 Show up to any fall gathering with these Fluffy Maple Snickerdoodles and you are sure to make some new friends! With no cane sugar or artificial sweeteners, you can also feel good about sharing these cookies. 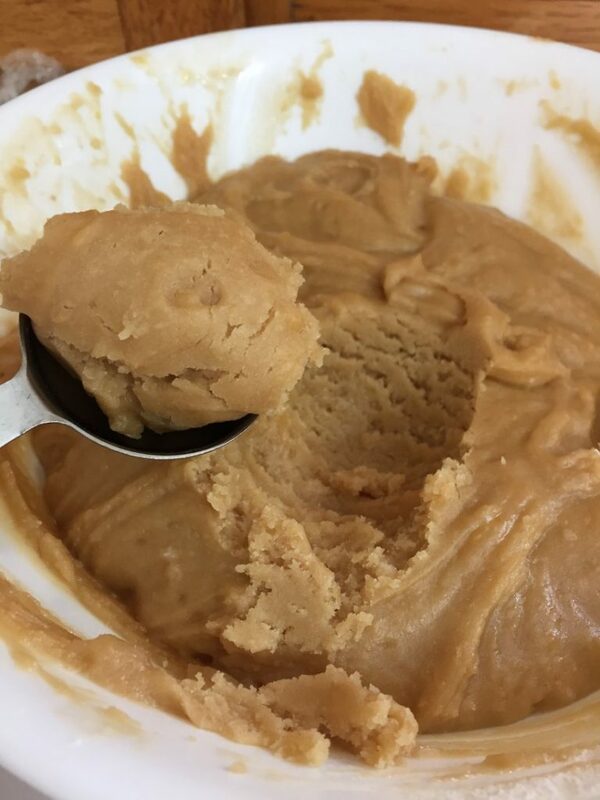 Read on to see how the recipe went for Alex, and let us know in the comments how it goes for you! Oh hi there! 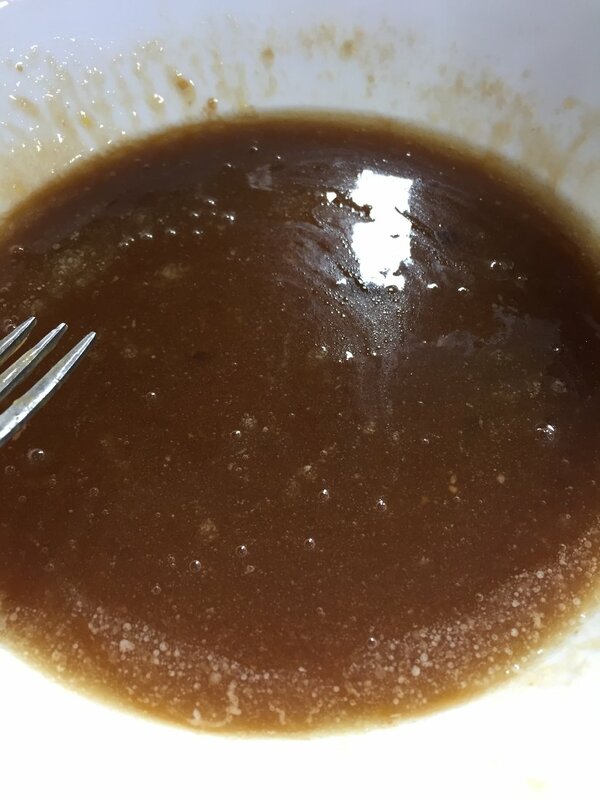 Alex here with another delicious maple recipe for you. 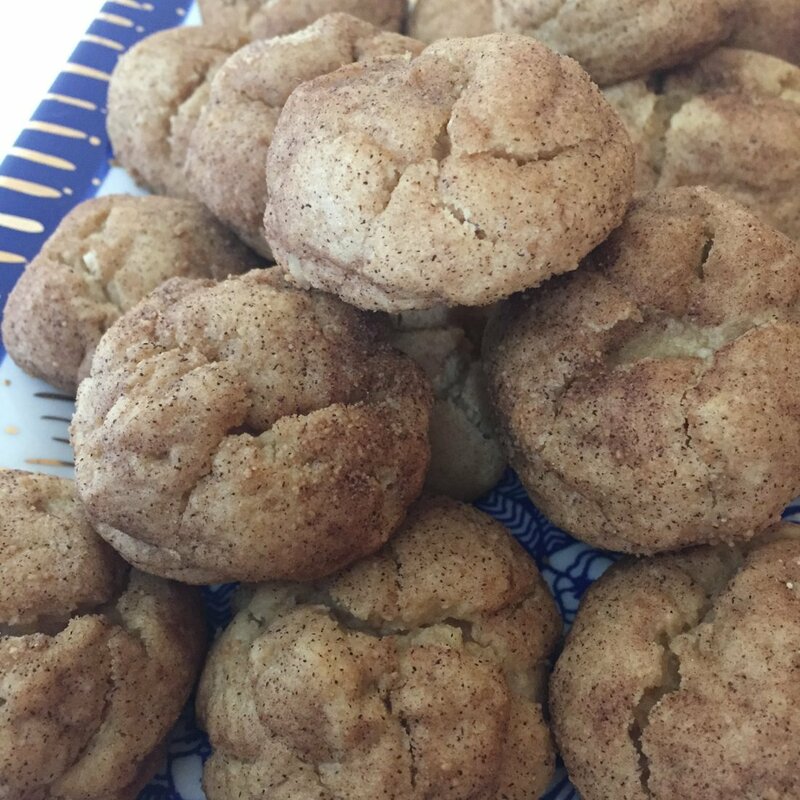 These snickerdoodles are the perfect fall treat and are so easy to share with friends and family. I know you will love them! Lets get started. As with most baking recipes, there are quite a few ingredients for this one. Most of them, however, involve items you likely already have at home which makes this a pretty simple last minute recipe. It starts simple, with mixing together all of your dry ingredients and setting them aside. Next, you have to soften your butter. I started with frozen butter and ended up melting it completely. Ideally, you would like to just be partially melted and very soft, but you should be okay if yours ends up fully melted like mine did. You will next add your dry ingredients and mix your batter together, then cool it for a minimum of 30 minutes. You can cool for longer if needed. This is a good time to preheat your oven and get your pan ready for baking. You can also take this time to mix together your cookie coating mixture. When my dough was done cooling it was dryer and more solid and ready to go. It now had that typical cookie dough texture. The final prep step involves rolling up balls of cookie dough and coating them in the maple sugar mixture. When you place them on the cookie sheet, be sure it they are at least one inch apart. You should let them cool completely before eating. This will give them a chance to finish setting up so they get that delicious fluffy and soft texture that makes them irresistible. These were a huge hit at home and at the office and I will definitely keep them in mind for future fall treats. Read on for the recipe so you can give them a try! Enjoy! Did you try this recipe at home? Let us know how it went in the comments below! No cane sugar! 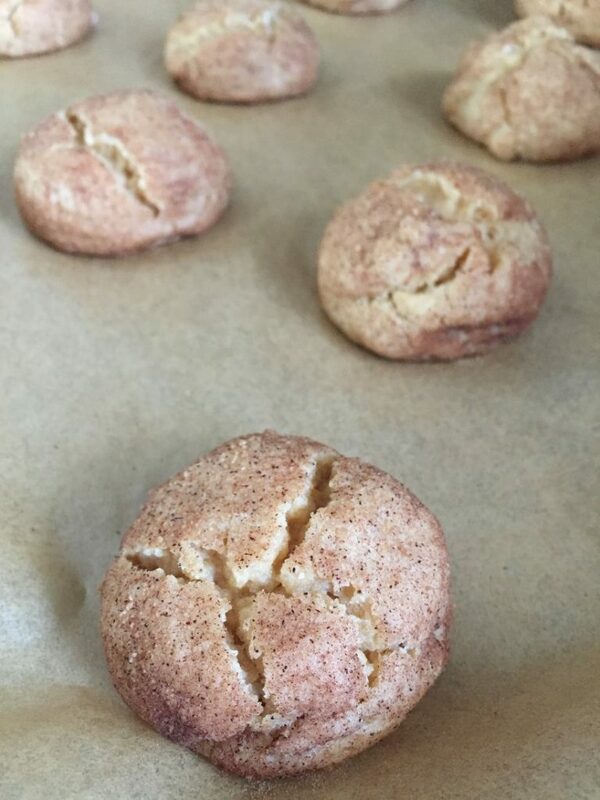 These Snickerdoodles are both fluffy and chewy at the same time. Yum! Mix together flour, baking powder, cream of tartar, baking soda, & salt in a bowl. Set aside. Heat butter on stove or in microwave until mostly melted. 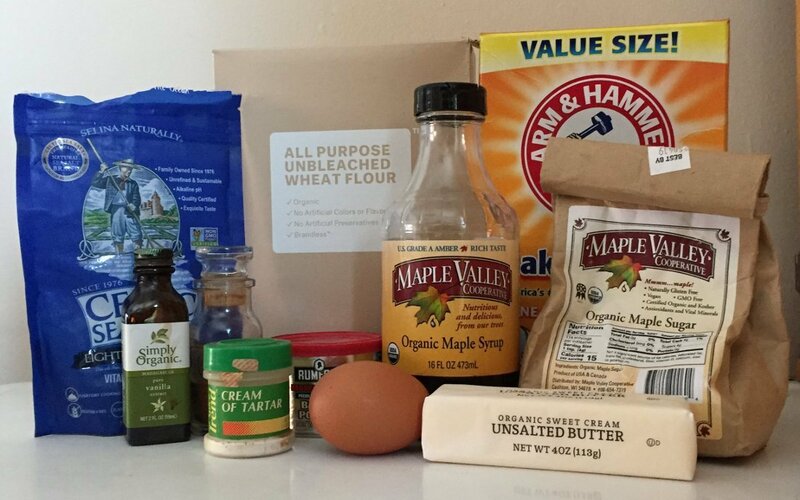 Combine maple syrup, maple sugar, egg, vanilla, & butter and whisk until uniform. Add dry mixture to wet mixture and stir until well combined. Cover bowl and chill dough in refrigerator for 30 minutes or more. 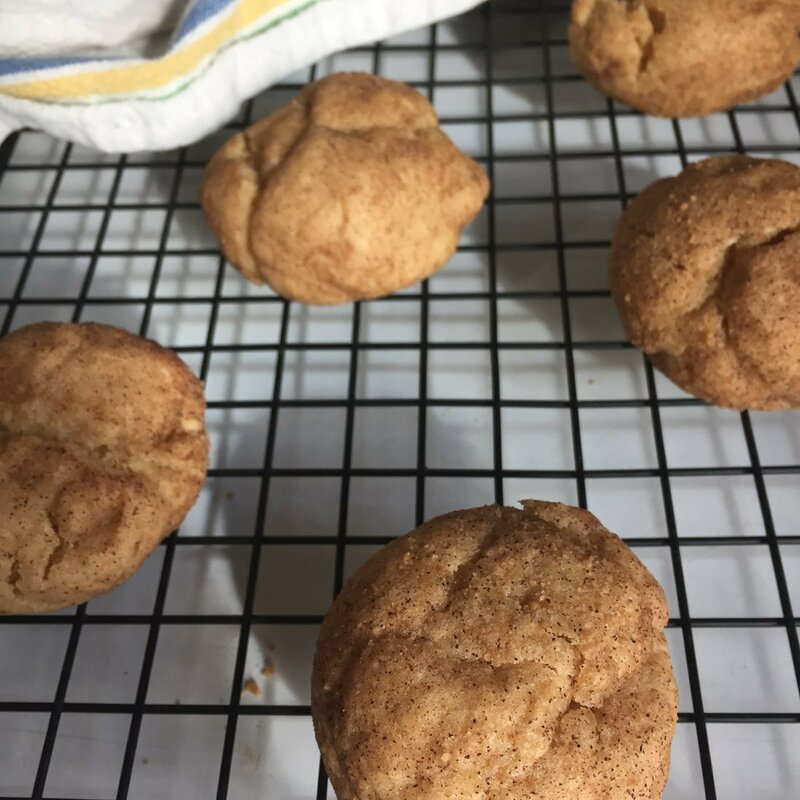 While dough is chilling, preheat oven to 350 degrees F.
Mix maple sugar & cinnamon together in a small bowl for cookie coating. Remove dough from fridge. 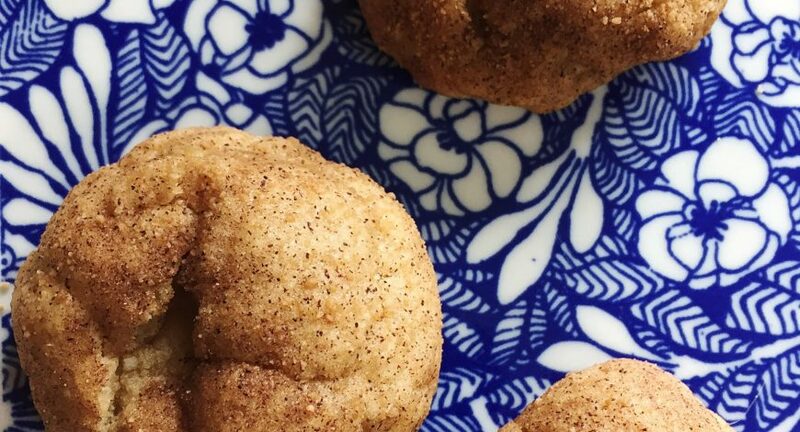 Make balls of dough that are about 1.5 tablespoons in size. 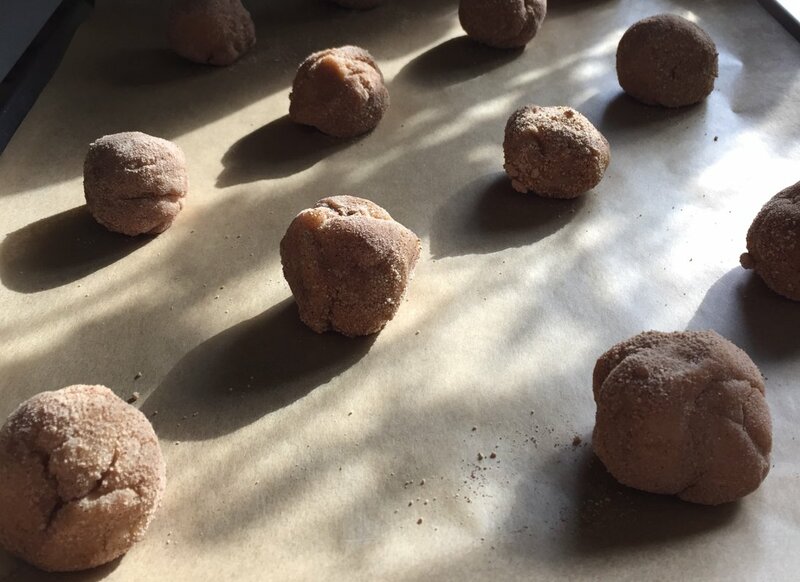 Roll each ball in the cookie coating mixture and place on baking sheet a minimum of 1 inch apart. Bake cookies for 10 minutes. When finished, allow them to cool. They should be fluffy, soft, and round with cracks in the top and very little browning.